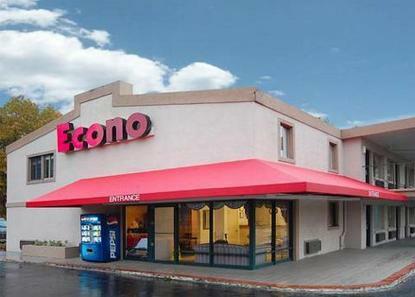 The Econo Lodge West is conveniently located near many area attractions, including Crabtree Valley Mall, Carter-Findlay Stadium, Cary Town Center, Crossroads Plaza and Dorton Arena. The hotel is eight miles from the Raleigh-Durham International Airport and downtown Raleigh. Guests will enjoy amenities like free coffee and free local calls. Business travelers will appreciate access to copy and fax services and competitive corporate rates. All spacious guest rooms come equipped with microwaves, refrigerators, desks, irons, ironing boards, hair dryers and cable television.